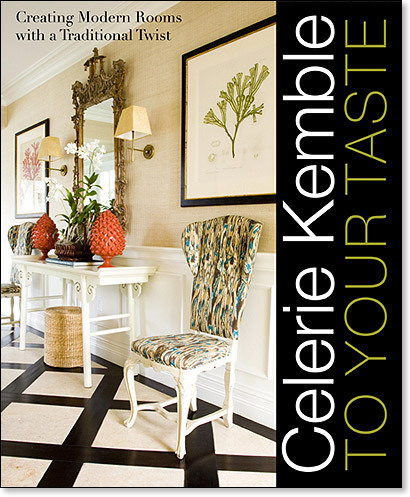 Celerie Kemble's childhood was in many ways a design tutorial spent in construction sites, antique stores, and in the unique homes designed by her mother, Mimi McMakin of Palm Beach's Kemble Interiors. After concentrating in English Literature she graduated from Harvard and quickly succumbed to what she calls a compulsion for design and home improvement. For 12 years she has been working as a much publicized residential and commercial interior designer based out of New York City. She has also created a to-the-trade fabric collection with F. Schumacher, a faux leather and technical surfaces collection with Valtekz, a recycled and recyclable commercial fabric line called FRESH for Valley Forge Textiles, and a furniture collection with Laneventure. This is her first book.